A Vietnam international will join a top Thai club this weekend on a one-year loan, with a condition for further negotiations at the end of the loan, a local club owner has confirmed to Tuoi Tre (Youth) newspaper. Star midfielder Luong Xuan Truong, 24, is scheduled to take part in a debut ceremony at Buriram United, a Thai-League 1 side, on Sunday, Doan Nguyen Duc, the owner of Truong’s Vietnamese club Hoang Anh Gia Lai, said. Truong will play for the Thai giants, which are Thailand’s reigning champions, under a one-year loan deal, Duc said, adding that Hoang Anh Gia Lai and Buriram United will sit down for a renegotiation upon the latter’s request. “One requirement we have all agreed to is that Truong can return to play for the national team whenever he is needed,” Duc further noted. Truong and his teammates have had a successful year as they won the first Southeast Asian trophy in a decade in December and finished in the top eight at the 2019 Asian Cup in the United Arab Emirates last month. 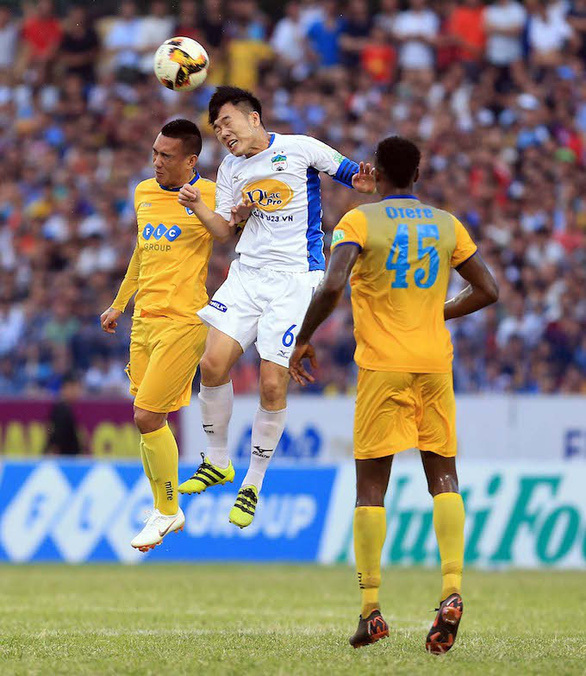 Hoang Anh Gia Lai ranked 10th out of 14 clubs at Vietnam’s top-flight V-League 1 last season while Buriram United won the Thai-League 1 in 2018. Last week, Vietnam’s number-one goalkeeper Dang Van Lam joined another Thai side, moneybags Muangthong United, on a three-year contract, with a monthly salary of over US$10,000 apart from other perks such as having his own house and car in Bangkok. Talisman Nguyen Cong Phuong, Truong’s teammate at Hoang Anh Gia Lai and the national squad, has also secured Duc’s agreement to move to K-League 1 side Incheon United, ranking 9 out of 12 last season, on a one-year loan.